When it comes to your personal transportation on your special day, you might want to consider a reliable and affordable limousine service company like Mr. Tims Limo Service. Serving the greater Bay area since 2008, the Fremont-based company provides ideal and competent services. With the most reliable limo fleet in town, location is never an issue with Mr. Tims Limo Service. Their assortment of vehicles includes a stretch limo, town car, party bus and more to ensure that they meet their client’s needs at the best local rates. 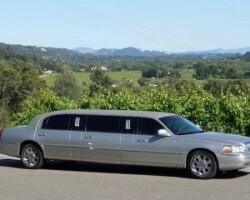 If you are looking for professionally chauffeured limo rentals in Fremont, CA, Star Limousine Services will sort you out. Unlike other limo companies, the professionals at Star Limousine Services are focused on ensuring that you get to your event safely, in style and on time. 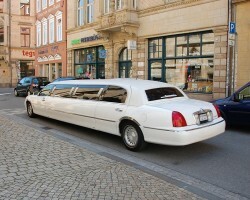 Star Limousine Services are proud providers of extensive transportation services with first-rate customer service. They have served the public and business sector in Fremont, CA, since 2007. When you decide to call for a limousine, you expect nothing but an exclusive ride with an abundant touch of class, that's exactly what Luxor Coach Limousine offers. 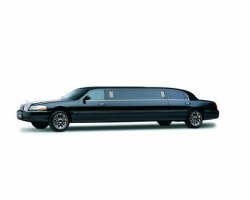 They are a well-known limousine rental company in Fremont whose main business objective is customer satisfaction. Luxor Coach Limousine can provide SUV s, mini-coaches and eye-catching limousines for wedding receptions, corporate parties or even a night out with friends at relatively cheap prices. 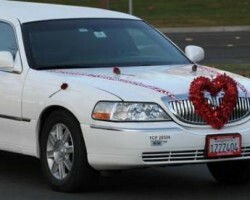 Bridges Limousine is a quick, discreet and reliable Fremont limo service provider. Apart from special occasions, high school prom and weddings, Bridges Limousine provides airport transportation to all three major airports. They also arrange charters in and out of Fremont. Their experienced chauffeurs are sociable and knowledgeable of all the Fremont area and its surroundings. With Bridges Limousines, you can expect the best of everything. Their devoted staff are there to make sure that you always arrive in style, making your entry the most memorable. With an unmatched commitment to bring reliable transportation to their customers, All Occasions Limousine Services always strives to ensure that they have the latest models in their fleet. 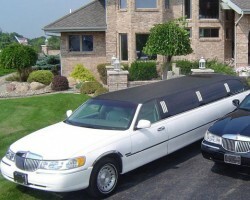 This is something that makes them one of the most preferred companies for limo service in Fremont. Inside their new limousines, clients get to enjoy the comfort and safety of the creatively decorated interiors. All of their vehicles are driven by experienced chauffeurs of California who are always punctual to make sure you get to your event on time.